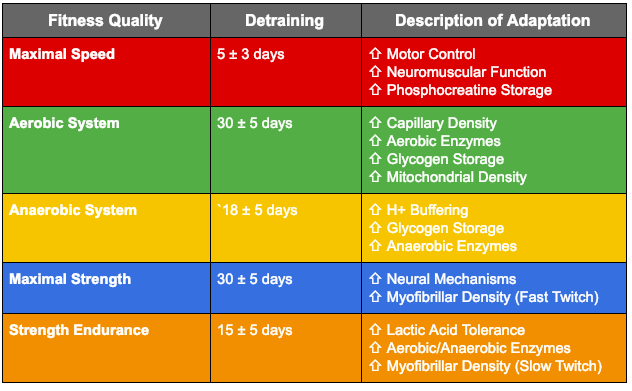 There are nine factors to consider to best estimate the number of days per week you should train. In my last article, I shared the complete list with you and expanded on the first five. So you’re more than halfway to having a better understanding of your training frequency needs in order to meet your goals. Let’s dive into the remaining four below. There are many qualities you can choose from to improve your athletic performance. Strength, power, speed, endurance, and body composition, to name a few. But know that from a physical standpoint and time perspective it’s impossible to improve on all of them at once. So you need to choose – what quality will you start with as your primary focus? Then, with that in mind, you must divide and conquer using the simple 80/20 rule. That is, 80% of your time, effort, and attention in a training block needs to go to the one quality that is your primary focus. And then you maintain the other qualities with the remaining 20% of your time. Within that training structure, your results will come when you apply the minimum effective dose (M.E.D.). This means that you are “optimal” in your approach to your training. And that’s defined by you achieving the most benefit with the least cost. I know I sound like a broken record here, as I’ve mentioned the M.E.D. often in my articles. That’s because I want you to get that you can reach amazing results, sustain them, and ensure your longevity as an athlete. Trust me. The M.E.D. will be your saving grace. In regards to your training frequency, the M.E.D. could be two-to-three days per week. 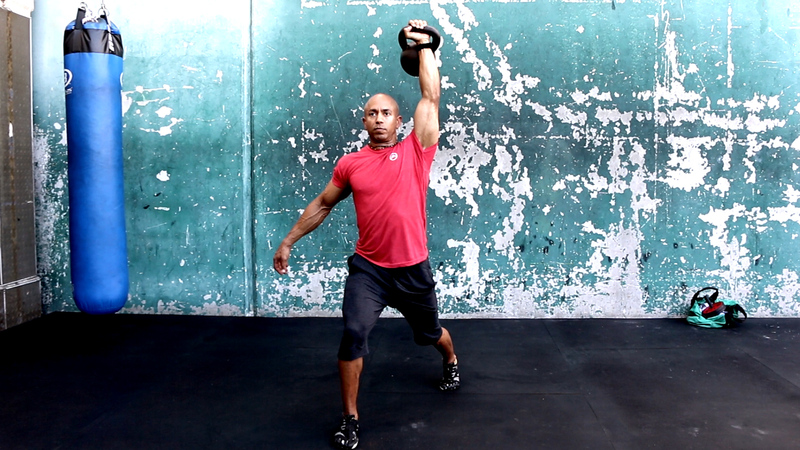 For building muscle, strength, and power this will work for the majority of athletes. But if you decide to divide up your exercises, intensity, and volume, you can spread it out over four or five days. Of course, you’d need to do that in the right way to promote sustainability. Let’s say you have to condense your timeframe for any event (personal or sports related). You need to plan your training time around it. So that may mean that you need to up your frequency. But make sure that this is only for a brief period of time to avoid overtraining. The smart thing to do is to never be too far away (4-6 weeks) from any goal. So you don’t end up increasing frequency out of sheer desperation. You’ll see this happen a lot right before summer rolls around. The gym gets packed everyday with people clamoring to get lean for their swimsuit. This happens because they didn’t have a solid training plan with a sustainable frequency. Or they had one and didn’t follow it. Regardless of your goal, there’s no perfect answer for everyone when it comes to frequency. But there’s plenty of evidence that shows that recovery is central to frequency no matter who you are. Lastly, keep in mind where you are now in relation to your goal and timeframe. And factor that into your training frequency. If you happen to be participating and competing in any organized sport, you need to be fresh when it matters. Would you ever do a workout that causes muscle soreness before you go into battle where your life’s on the line? You get to have the same mindset around being sharp for practicing your skills and competing. So you need to plan out your training schedule to be less frequent and intense during a competitive season. If you lift three times per week in the off-season, you could lower it to two for the in-season. Or from four to three. Keep in mind that this is not a rule. It’s an example. Because you could also keep the same frequency of days and weights used, but with less volume. Remember, you should never go into battle if you’re feeling sore. And your plan of frequency can prevent that from ever being a factor. Everyone has their own level of ability when it comes to adapting to a stimulus. This could be the motor learning necessary to master a new skill. Or your body’s efficiency when it comes to regenerating and healing from a high intensity workout. Some of this is based on lifestyle and training age. But most is genetic. I’ve worked with NBA All-Stars and discovered why they are the best of the best. Their ability to adapt was even greater than the majority of players in the league. It was clear to me and to their peers. It’s because their genetics allowed them to progress so much faster with learning new exercises. And in their capacity to increase muscle, strength, power, and overall work. On the other side, I’ve worked with a lot of athletes where the process was more of a struggle. And it took at least twice as long to progress as their counterparts. Why does this matter? Because an increased ability to adapt allows you to progress faster. So it’s important to take an honest look at your own individual ability to adapt. Then, factor that into your own frequency. Instead of basing it on some cookie cutter plan, or your ego of trying to keep up with others. In planning your time, it’s critical to know how long a fitness quality lasts before there’s a decrease in performance. That timeframe is the training quality’s residual. And that amount of time is different for each quality. Below is a chart to help guide you in your plan to ensure you’re making progress instead of losing precious gains. Now that you have a better understanding of the factors of planning your frequency, your likelihood of success is much higher. And you are well on the path to becoming an Athlete For Life.